In the world of the Kardashian-crazed, 24-hour broadcast we are often left with no escape from the constant crashing of news coverage from the world of the relevant and irrelevant alike. But there is a cure, and its been around longer than the TV has. Hello, my name is Barbara and I’m an addict. Yes, it’s true. I’m a news-aholic. The first thing I do every morning is turn on the news and weather report. Years ago I only “fed” my habit once or twice a day with the morning and evening network newscasts. 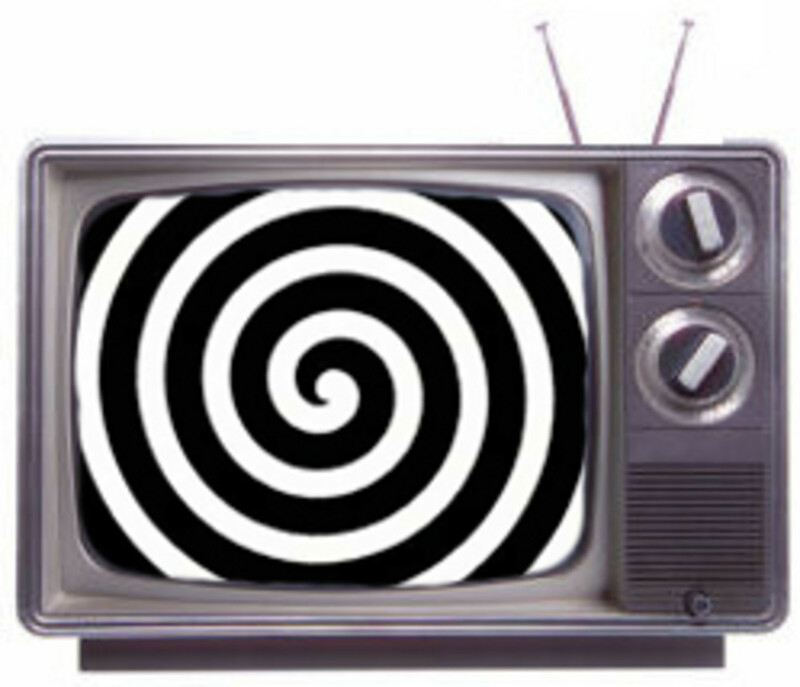 However, now the 24/7 cable news world that we live in means that addicts like me can be tuned-in anywhere, any time. Can’t sleep at 0300 hours? Turn on the news. Need to check the weather? I just tap an app on my phone and there is more weather information than that phone number I used to call ever gave me. Waiting for a flight? There is even an Airport News Network. Ever feel like this? There IS a cure. So, how does one kick this habit? I’ve got the perfect rehab facility- the boat! What better way to get away from the news of the day than to go cruising. Whether sailing or motoring along, boating is the perfect detox facility. It’s surely much more comfortable and more fun than those celebrity rehab centers we’ve all seen on TV. Oh, sure some of us can still be “plugged in” on the boat. Some boats have TV’s, stereos and computers. And, of course most people have smart phones or tablets with them at all times. 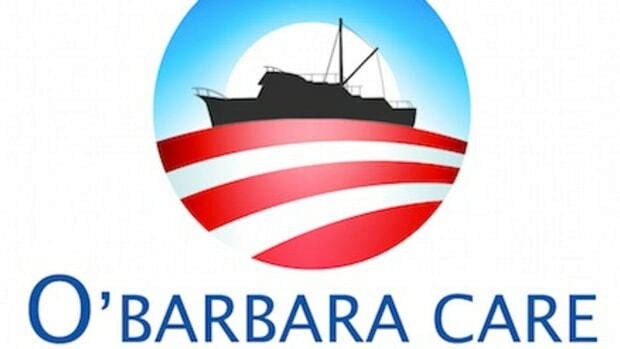 But really, who is going to sail off into the sunset watching CNN? Surfing the headlines on my phone at the beach just doesn’t have the same appeal as swimming with my dog. The boat is the ultimate spa – a place to detox and de-stress from the news of the day. In this crazy world we live in, we all need a place we can go where we can find peace. For me, that place is on the water. Whether on a kayak, a runabout or a sailboat sliding along, being on the water lowers the blood pressure and pushes that 24/7 cable news world overboard. I take full responsibility for my habit. I know, out there someone is saying, “just turn off the TV.” Ok, but then a friend walks in and says, “did you hear the news?” and the cable is back humming along again. I did cancel all those news and weather alerts on my phone. Any media addict should go cold turkey and clear those apps from all electronic devices. I also have to plan my stints in rehab. It’s not easy to get away when you run a seven-day-a-week business. Fortunately, in Southwest Florida there is no bad time to go boating. Even when the wind chill gets down to 65, there is always a cozy cove to drop the hook. Detox treatment might include reading a book, taking a dinghy ride or going fishing. That doesn’t sound all that bad, does it? In a week where there is the State of the Union address, Winter Storm “Leon” and the Super Bowl, I often feel a relapse coming. It’s time for some serious on-the-water therapy. Honey, untie the lines. Let’s go boating. 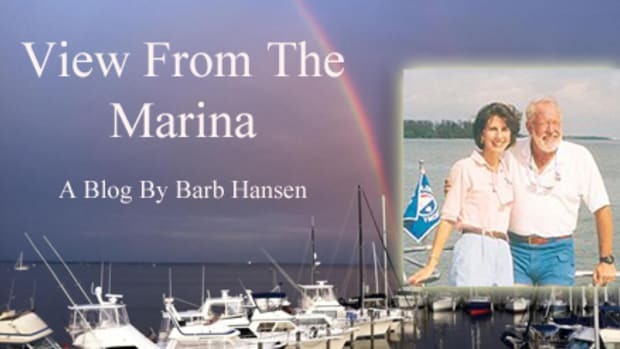 Barb Hansen manages Southwest Florida Yachts, yacht charters and Florida Sailing and Cruising School, a live aboard yacht school. 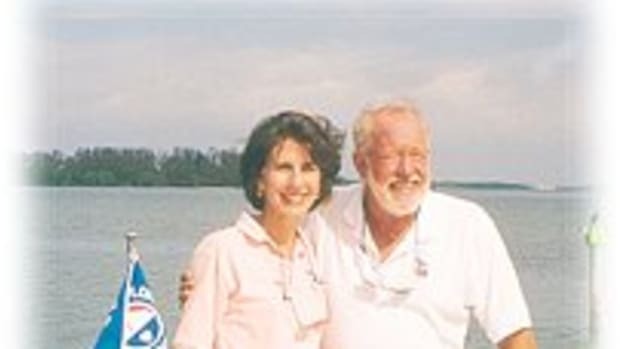 Contact her at info@swfyachts.com, phone: 1-800-262-7939 or visit: http://www.swfyachts.com/.